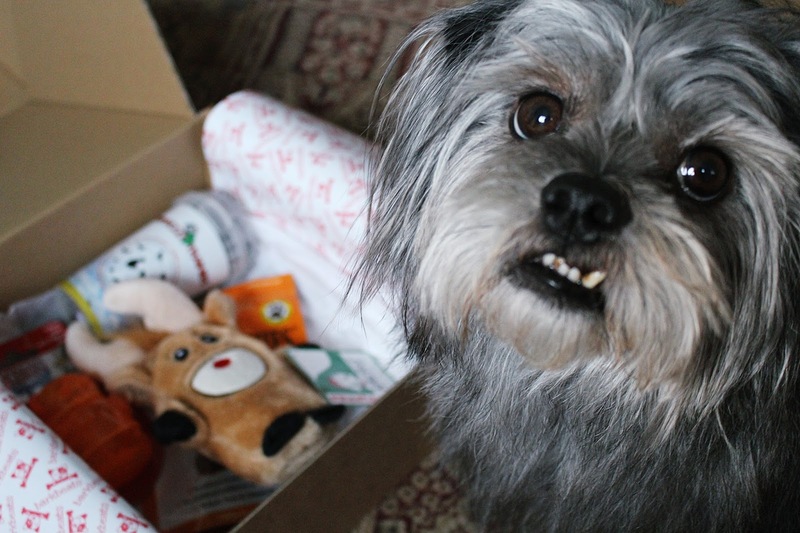 It's been a little while since Rory was in the spotlight on my little ol' blog, so I thought it was about time he got a bit of airtime with a review of the BarkBeats box he was sent just before Christmas. 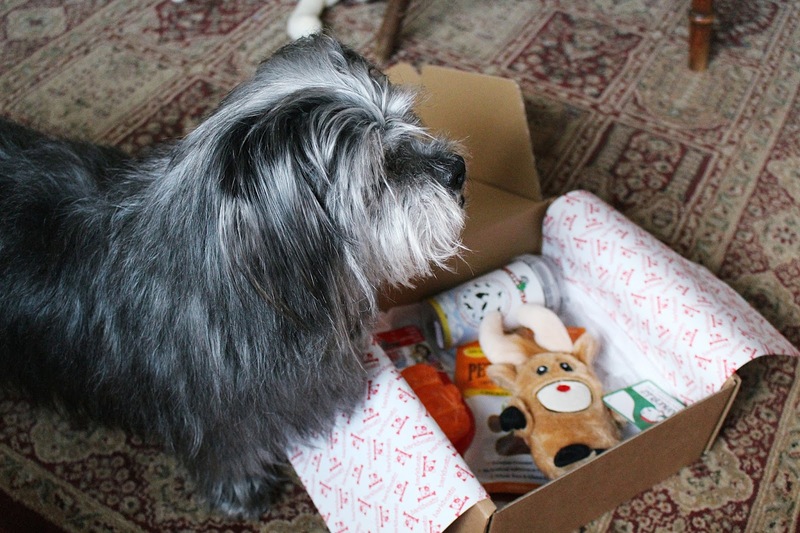 Barkbeats boxes are tailored to your dog's size, which is great, and contain a good mix of food-based treats as well as toys etc. 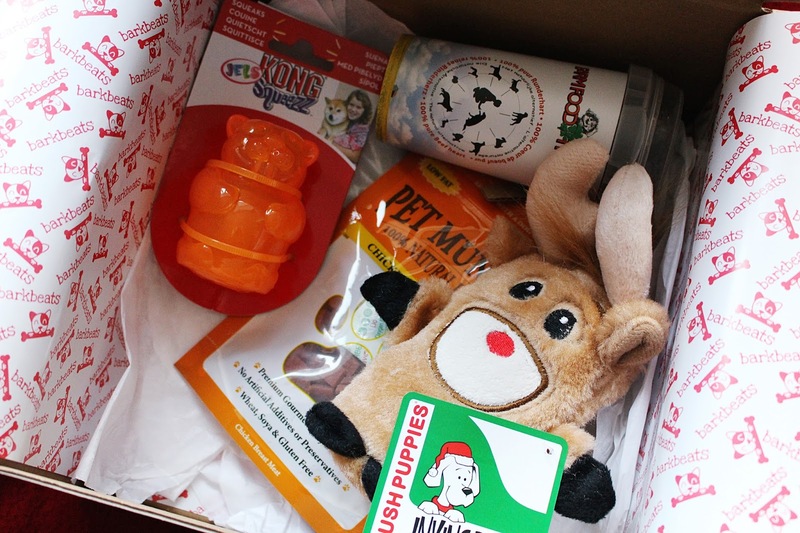 Rory's box came with a squeaky reindeer toy (which he ADORES), a gingerbread treat made from yoghurty goodness, a squeaky Kong toy, and some natural dog treats. There was one thing he got (beef heart treats, EW) which immediately went in the bin. Sorry, I'm all for giving my doggy the treats and nutrients he needs, but things like that never get my vote - just, no. Definitely a downside to not knowing what's in the box. Other than that though, I was impressed with what was in the box and I know Rory was too. There was a nice mix of well-known brands in there, and it was really nice to see a good-quality Kong toy in the mix too. So, how does it compare to Pooch Pack? Well, on this box alone, I'd say Pooch Pack was the winner. There was much more variety in Pooch Pack (a mix of toys, treats, useful things like poo bags and even doggy shampoo) whereas Barkbeats just seems to be food and toys. 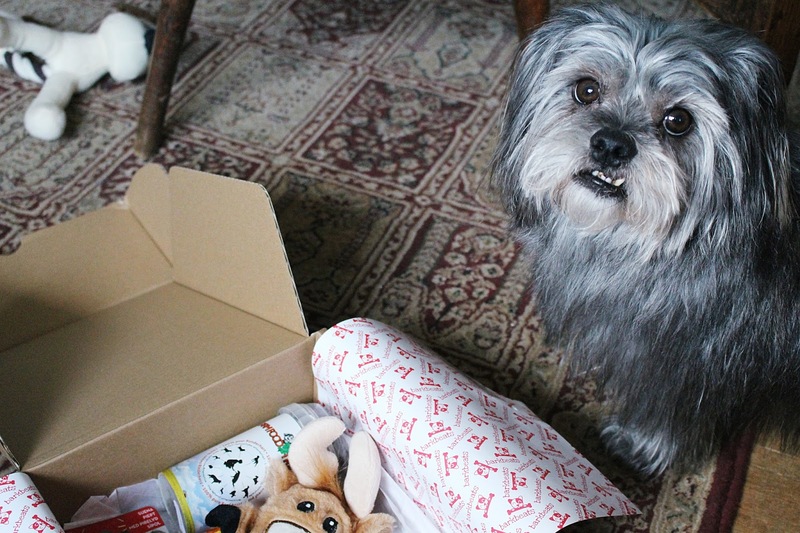 Not to say that that isn't a good thing, just I think most dog owners would prefer a bit more variety when trying out these kind of subscription boxes. However, Pooch Pack is more pricey than BarkBeats, so there's always that to consider. If you're interested in trying Barkbeats, you can get £5 off with the code 'AWTF5'. Let me know if your dog/cat is signed up to any subscription services and what you think!